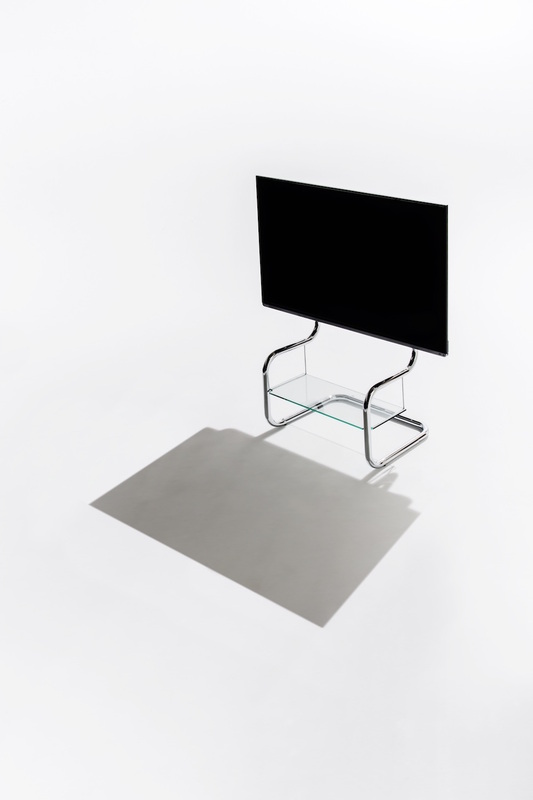 Modern minimalist floating design TV stand by zeitgeist. Cantilevered design creates floating minimalist light weight aesthetics. TV stand that features spirit of modern minimalist design. zeitgeist’s TV stand FSM(Floor Stand Metal) is designed with the inspiration of minimalist and Bauhaus’s modern design. Cantilever construction designed 100years ago in the era of Bauhaus now supports latest technology of flat panel display. Cantilever construction makes TV looks floating and minimalist appearance yet with significant modern design identity. The interior together with this floating cantilever design TV stand creates simple and beautiful look. Modern minimalist floating design TV blends into your existing interior without any conflict since the TV stand has already proven modern master piece design. Cantilever pipe frame is originally designed by Mr. Mart Stam as an chair leg. It is most iconic modern design master piece. This iconic chair leg creates beautiful matching with modern minimalist interior. Originally from Dutch, practiced in Germany during 1920s. He was a designer of furniture as well as an architect. He also taught at Bauhaus where modern design has been originated. 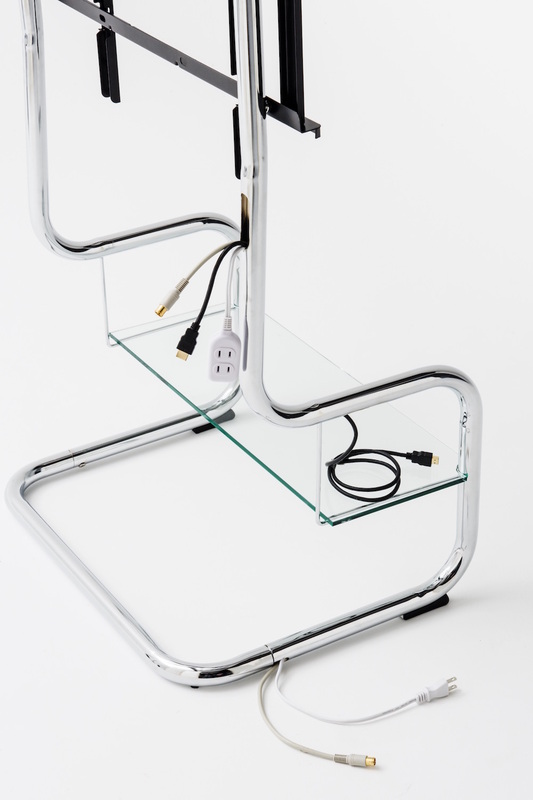 zeitgesit’s TV stand features cantilever pipe frame. However this cantilever is not just the regular cantilever frame for chair with no rear legs. zetigeist’s TV stand has another functionality besides just being modern minimalist TV stand with floating simple design. It also has important function as entertainment media center. Pipe frame can hold up to 3 cables inside the pipe. And stand already equipped with those cables. Cables are power, antenna, HDMI. It holds cables for media devices such as recorder/player for Blue ray discs, STB using HDMI cables. TV also requires antenna cables to receive antenna signal thus stand already has cables, and of course TV requires power supply thus it has power cable to feed into TV and other device to connect to TV. Since the streaming service such as Netflix or Hulu can be fed from wifi, TV stand only has one HDMI cable.